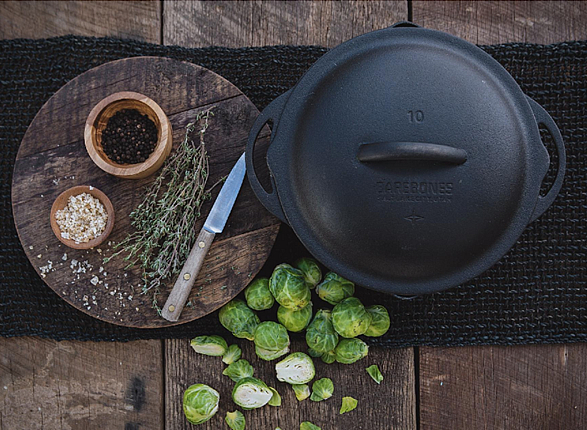 This beautiful Cast Iron Kit by Barebones features all the cookware you need to prepare a gourmet, home-cooked meal on an open flame, on your next camping trip. 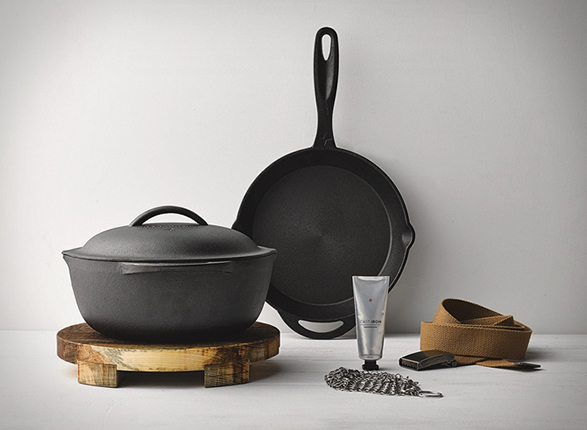 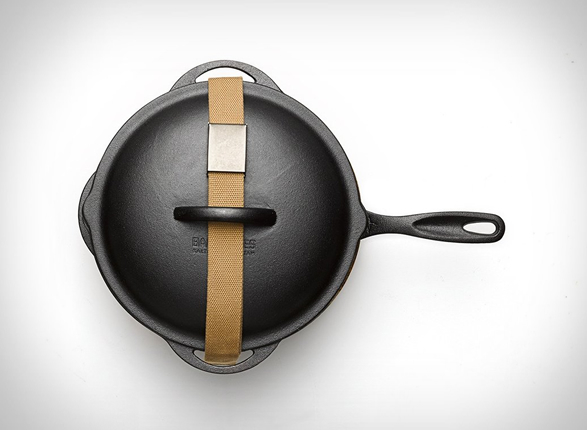 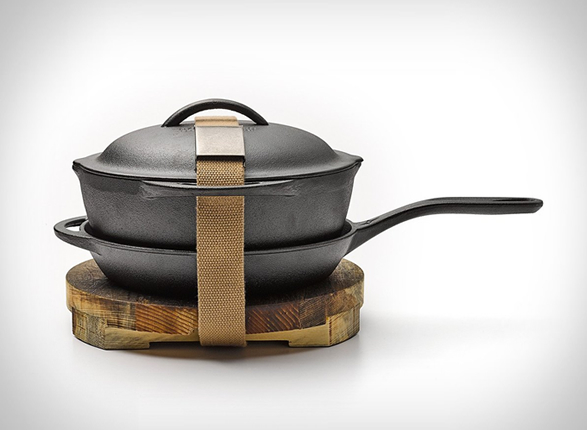 Cast iron is the simplest, most no-frills, and best all-around cookware materials in existence, this set is a great way to get into the cast-iron culinary arts. 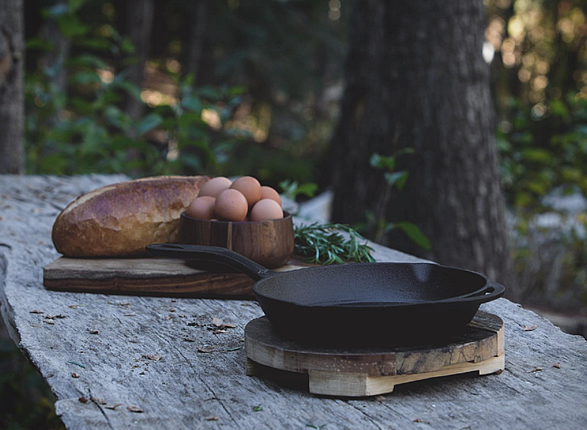 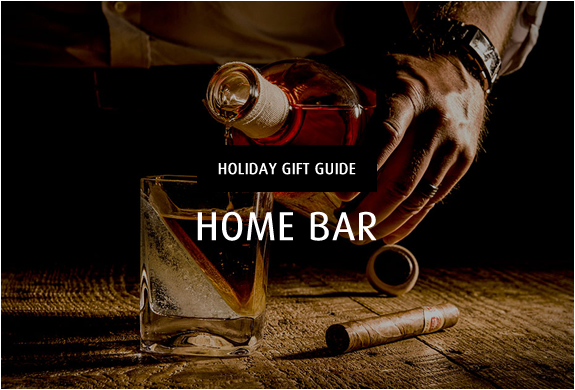 Each kit comes with an organic, locally made seasoning oil, stainless steel cleaning mesh, and handmade wooden serving trivet that rounds out this set by delivering an authentically rustic presentation. 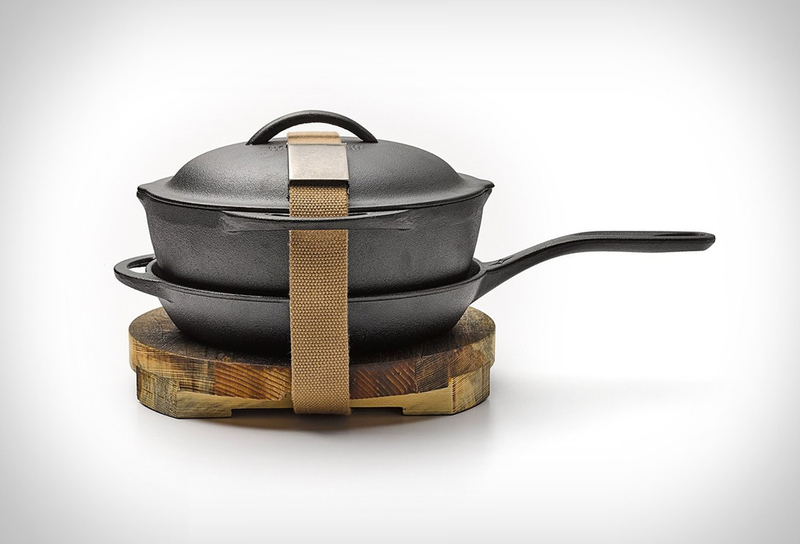 The matching lid is interchangeable between skillet and crock.